» What Is the Difference Between Bronchitis And Pneumonia? Bronchitis and pneumonia differ from each other. Read on to know the difference between bronchitis and pneumonia along with key information related to both of them. Many of us have found ourselves feverish and coughing. The thing is coughing can be a symptom of many things. In some cases, it is a symptom of two serious health concerns pneumonia and bronchitis.While both have similarities they also have multiple differences. Bronchitis is an inflammatory reaction on the lining of your bronchial tubes. Coughing in this case often has thick mucus, which can be discolored. A slight green, yellow or orange tint is normal. A red or black tint means you have blood in your mucus and need to get into an emergency room immediately. Not all doctors prescribe antibiotics for bronchitis; it depends on the type and severity. It is usually classified as acute and chronic. Acute bronchitis is a common type and often occurs after a cold, flu or sinus infection. The infection causes bronchial tubes to swell up. And when bronchial tubes are swelled up they are filled with mucus. This obstructs air supply to your lungs. Acute bronchitis goes away once the inflammation is healed and the air supply to lungs is stored. What does cause acute bronchitis? The viral infection is the main cause of acute bronchitis. The bacterial infection may cause acute bronchitis but over 90% of all the cases of acute bronchitis are non-bacterial. Chronic bronchitis is a severe type of bronchitis. Smoking, second-hand smoking or breathing in an air-polluted ambiance for a longer period of time are most common causes of chronic bronchitis. This type also comes with a phlegm cough. In some cases, the phlegm is harder to expel which makes this type more severe. Chronic bronchitis also has recurring bouts for at least two years in a row. A cause that can create multiple bouts of acute bronchitis that turns into chronic is an office work environment. Since the air quality is often poor and over circulated it can carry the irritation around for months. Think of the air vents in your home, have you cleaned them lately? Consider getting your air ducts professionally cleaned annually to help get rid of built-up dust and microbes. This will improve the air quality within your home and often you will find your health improves. You also want to get your carpets deep cleaned as well as your furniture. This will remove the dust and microbes on those surfaces as well. 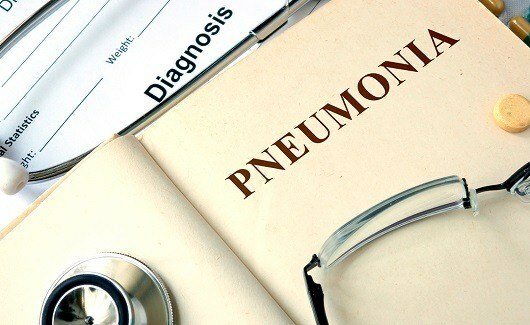 Pneumonia is an infection that can occur in either one or both of the lungs. Pneumonia is common in children younger than 5 years and adults who are older than 65 years. The predominant factors that cause pneumonia are bacteria, fungi, viruses and bacteria-like organisms. They reach to lungs through the air we breathe. However, our immune system fights with these germs most of the time but when they overpower our immune system they infect our lungs causing pneumonia​. Community-acquired pneumonia, this is the most common type of pneumonia. Hospital-acquired pneumonia or ventilator-associated pneumonia is often associated with a hospital stay. You may be infected with while you are in the hospital for another reason or being treated. Those that use a ventilator often end up getting this type of pneumonia. Aspiration pneumonia is when you inhale something other than air into your lungs.Things like food, drinks, vomit, and saliva are often behind this type of pneumonia. It has also an abscess in the lung cavity. While bronchitis and pneumonia have differences they do share many things. But the thing is, bronchitis is often the less severe of the two. This is why doctors check to see if you have pneumonia or if you just have bronchitis. Both have symptoms of fevers, chills coughing, mucus, and fatigue. For both it is best to take rest and drink lots of fluids such as water and broth. Both often make the person feel miserable making them stay on the bed. It is best that you take it easy and rest as much as possible. Bronchitis is mostly caused by viruses, but pneumonia is caused by bacteria, viruses and fungi. You can have both at the same time, viral bronchitis and bacterial or fungal pneumonia. Many find it easier to get rest when they are lying at a slant position with their heads elevated. This helps keep the coughing from bothering them as much.